DENVER, Feb. 7, 2017 /PRNewswire/ -- Today's consumers are more self-advocating, self-educating and self-motivating than ever before. Engaging with the customer when, where and how the customer prefers makes all the difference in creating positive and ongoing relationships with a brand. In the spirit of Valentine's Day, TeleTech is sharing effective strategies for companies to show their customers some love in this quarter's Customer Strategist journal. A simple experience from a consumer's eyes is one in which the brand knows an individual, his or her history, preferences, and can anticipate needs before being asked. However, from a brand's perspective, getting to "simple" is far from easy. 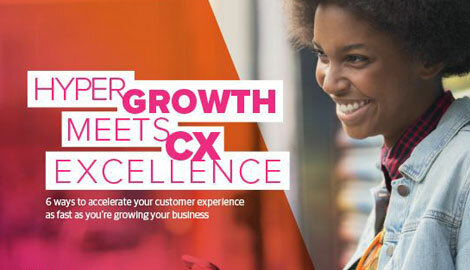 "In this issue of the Customer Strategist, we explore what it takes to create more simple customer experiences. It requires data, business unit alignment, technology, and a culture that's customer-first," said Elizabeth Glagowski, editor-in-chief of Customer Strategist. "We've broken down major elements of the customer experience from the brand's perspective, including the true state of customer centricity, upcoming digital trends and transformations, and new strategies from industry innovators." Become Your Own Uber - Create real human connections to keep up with disruption. The Future of Customer Experience - Where do humans fit in an increasingly digital world? Does CRM Simplify the Customer Experience? - CRM tools in the contact center provide valuable information, but can complicate the customer experience. What to Expect from the Rise of Chatbots - Here's what business leaders need to know about the messaging apps and chatbots that are rapidly gaining users and screen time. Other articles detail how Customer Centricity Changes Over Time, share five ways to transform the employee help desk in Take the Consumer Experience Behind the Firewall, and describe how companies from automotive and banking to healthcare and travel, have taken the task of simplifying the customer experience to new levels with The Evolution of Common Customer Experiences.